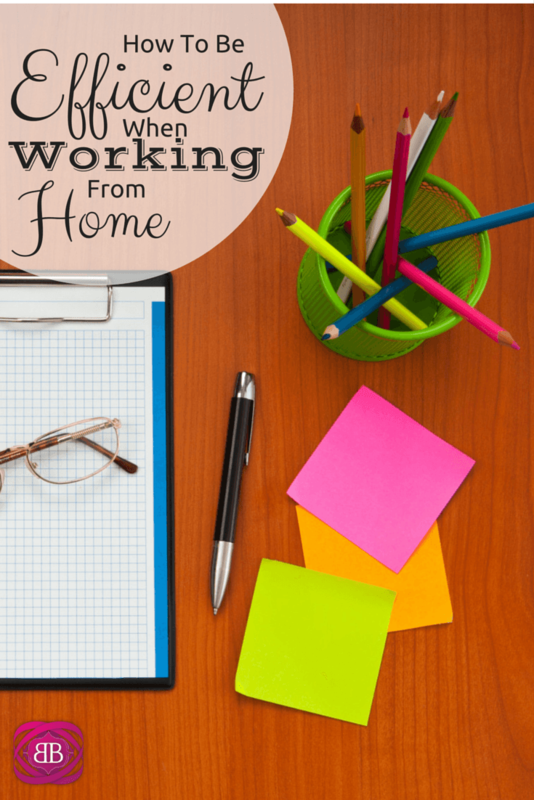 Many entrepreneurs work from home, myself included. Maybe you’re trying to scale your small business, (something that Rick Schaden, the CEO of Consumer Capital Partners, knows a lot about.) Or, maybe you can’t afford to rent office space yet or simply thrive at home and love your home office. 1. Set regular work hours. Working from home requires a lot of discipline. If you know when you need to be sitting at your desk every week, you’ll take the guesswork out of creating a schedule every day. 2. Separate work time from personal time. It’s important to work when you plan to, but it’s also important to stop working during your time off. If you work during your personal time, you’ll eventually burn out. 3. Figure out your ideal workflow. Set your priorities for the day and figure out how long each project will take you. Also, decide what you’re going to work on if you end up with extra time. 4. Break up your day. Add planned breaks into your regular schedule. Get up from your desk during those break times and venture out of your office. By unplugging for a bit, even if it’s just 15 minutes, you’ll refresh your mind so that you’re ready to return to work. Without these breaks and rests, you won’t be as efficient as possible. 5. Get dressed. You may not want to put on a suit and tie to sit in your home office, but there should be some amount of dressing up once you roll out of bed. Brush your teeth, run a comb through your hair, and put on clean clothing, even it it’s just a comfy t-shirt and jeans. 6. Make sure you have office space at home, even if you don’t have a dedicated room to work from. If you don’t have a desk and an area in which to work, you’ll wind up lounging on your couch with your laptop in front of you, which isn’t great for productivity. 7. Set boundaries with the other people in your home. Encourage your roommate, spouse, kids, or dog from hanging out in your office area while you work. Tell them when you’ll be working or hang a sign from the door when you don’t want to be disturbed. 8. Clean up. When you work in a regular office, there’s a team that comes in at night to clean. When you work from home, you’re your own janitor. Keep your office neat, clean, and organized. Empty the garbage every day, dust once in a while, and wipe down surfaces once a week. 9. Play music! When you work from home, there’s no one to be distracted by your music. Play whatever you need to in order to focus or get inspired. By using these tips, you’ll soon be an expert at working remotely. You may not need to rent that office space after all! Totally! I’m only a week and a half into working from home, but I totally resonate with this. Part of being efficient was getting a babysitter for a few hours in the morning, when I’m most productive, and so I could have some regular “office hours” for phone calls, etc. Now, if I could only find a way to get the dog to stop randomly barking at things while I’m skyping…..
Pingback: Will a Mobile Hotspot Make You More Productive? Thanks for this! This post is the perfect blueprint that I need to be following… I’ve got two kids running around so it’s a bit harder to actually get into work mode, but there are plenty of other moms who do it, so I know I can do it too! I currently work from home and I do a lot of what you mentioned. One thing I need to tighten up on are those boundaries. My husband works a different shift than I do and he’s at home during the day with our new little family member (our 5-month-old son) and it is a challenge. Every time I hear my baby cry, it drives me crazy! I definitely use tip number 9 to block it out! Great article ! I am trying really hard to set schedules and work. However with my 14 month old daughter ( we have a nanny ) it is getting very difficult. What extra tips can mommies out there share. She is hooked on to mommie and feels it when I am at home .